Welcome to the Fraser Bridge Inn & RV Park. 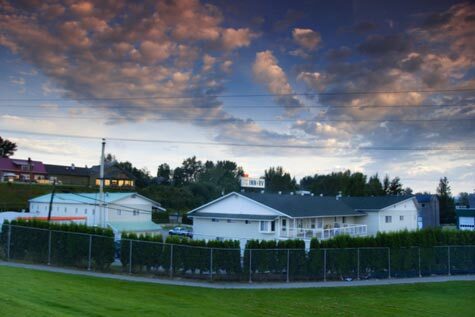 We have 27 units, a 10 space RV Park and Campground and our location is steps away from the River Front Walking Trail and the Fraser River Bridge, the longest wooden walking bridge in the world. 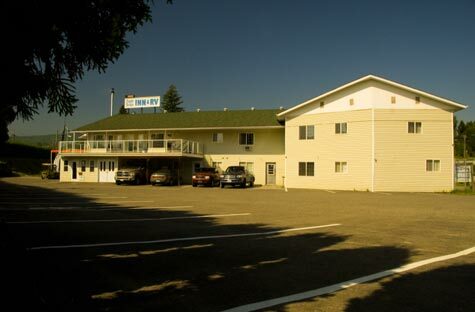 To ensure privacy, a 15' tall cedar hedge surrounds the motel and RV park. West Park Mall is about a three minute walk away. Across the street from the mall is a 7-11 for coffee and snacks. Family Restaurants and a Neighbourhood Pub are very close by. 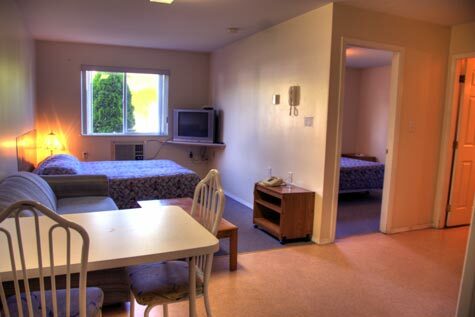 Enjoy large suites with kitchenettes and all amenities to make your stay with us as comfortable as it can be. We also have an RV campground with full hookups. Clean, easy in and out, and friendly service, minutes away from all the City's amenities. We are in the centre of it all. Bikers Notice: we have undercover biker parking available. Phone us for more information. © 2019 Fraser Bridge Inn. All Rights Reserved.